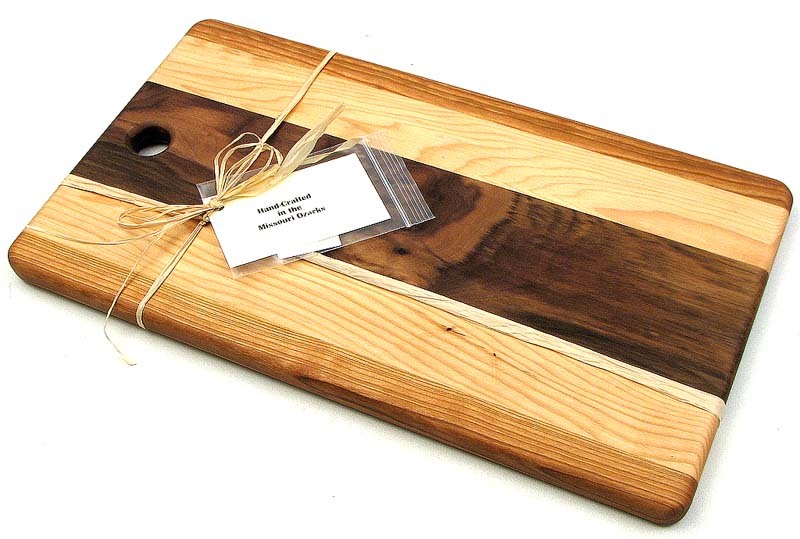 Measures: Beautiful Handcrafted multi wood flat grain cutting board. "Handcrafted in the Missouri Ozarks." Each board created from locally grown trees 100% American Made. Boards may vary slightly in color depending on cut of wood. Length and width may vary slightly. Measures 16"W x 1"H x 9"D.